If you’re looking for a long and rewarding career then training as a locksmith can be highly beneficial. Finding the right locksmith training course might be a challenge, as there are hundreds of companies that offer training courses. Each of these course features different levels of abilities and methods of training that might not be suited to you. Understanding the full range of locksmith training available. Knowing what level of locksmith training you need; are you at a foundation level? Do you need add-on courses to help enhance your knowledge? There are a lot of things to consider, especially as you’re going to be investing time and money into the course. So in order for you to get the most for your money, why not consider a locksmith training course with MPL? With over twenty years’ experience in the industry MPL is the perfect place to get your locksmith training started. 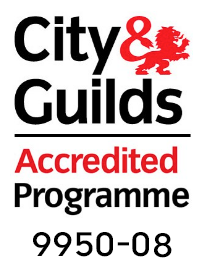 We offer courses for all levels and our locksmith training courses are designed to give you the best qualifications to further your career. MPL offers bespoke locksmith courses that can cater to people of all backgrounds. With the latest locksmith technology MPL can offer courses that will have you up-to-date with all the tools and trade information that is vital to your training. Our trainers are fully qualified and have decades of experience to aide you in the next steps towards your locksmith career. Each of our trainers runs their own locksmith companies, so they are hands-on on a daily basis with the practical side of the business. MPL are distributors of uPVC door locks which means we have specialised training in this niche market, which is an excellent skill to possess, making you stand out from the crowd. We provide training courses for all levels, including beginners, up to fully experienced locksmiths. There are course for those who are just starting out or wish to improve on their current knowledge. We are open to working with anyone who actively seeks to expand on their locksmith expertise. 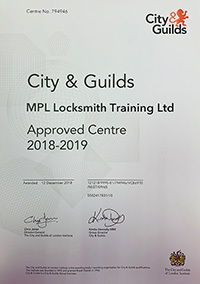 As well as this, MPL strives to offer the most up-to-date training in new locksmith equipment and technology – an important skill to have in the ever-changing world of locks and security. As almost 80% of doors today are uPVC, our training means that you are fully prepared in this area of the business. By having this skill you’re able to gain more work outside of traditional locksmithing and provide a service that isn’t always offered by other locksmiths. As well as uPVC locks, MPL can also train you to tackle wood doors and aluminium doors. With the combinations of these skills, you’ll have the edge on the marketplace and be able to respond to call-outs that other trained locksmiths don’t possess the skills for, providing you with the benefit of more customers. 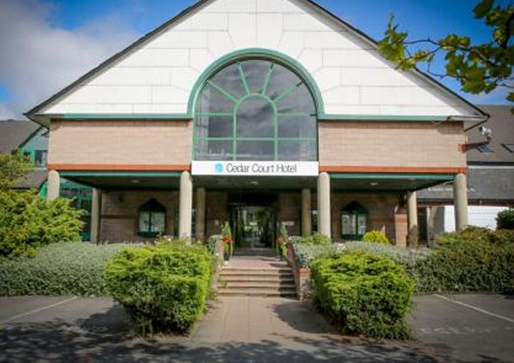 Our courses are designed to offer the very best in practical and theoretical training. 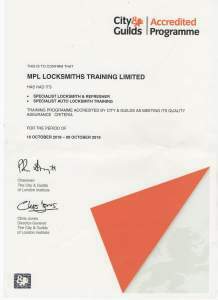 MPL locksmith training courses provide a high quality of training from the best in the business. 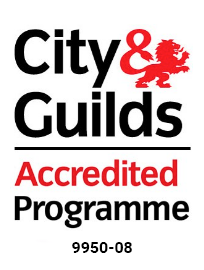 As a City and Guild accredited programme, you have the option of picking the right course for you. If you’ve decided that becoming a locksmith is the right career choice for you, then get in touch with MPL today. We have a wide variety of experienced locksmith trainers and courses to suit your needs.